Justus Parmar is the Vancouver-based managing director of Fortuna Investments, a venture capital firm that has raised more than $300 million for 125 early-stage companies. With a home in Los Angeles, offices from Toronto to Barbados and business in far-flung places, from Israel to Argentina and Tanzania, he finds “bleisure” balance in combining work and play. 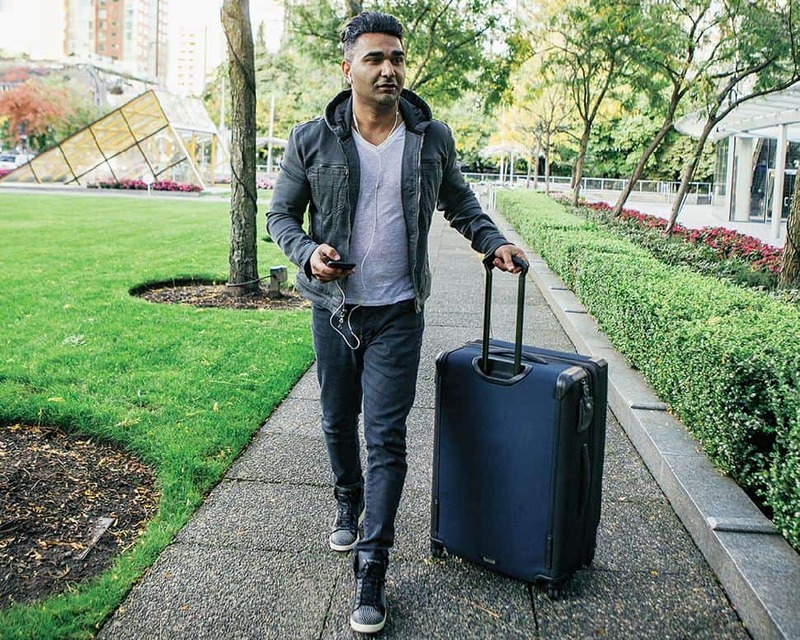 “I do try to travel with my girlfriend,” Parmar explains. “It can be kind of lonely, with so much time by yourself and your phone.” Parmar says he’s fortunate to do business only with those he likes: “The people I go to dinner with are friends as well as associates or businesses we’re investing into.” In an era of Skype, FaceTime and video conferences, he still closes some of his biggest deals in person. 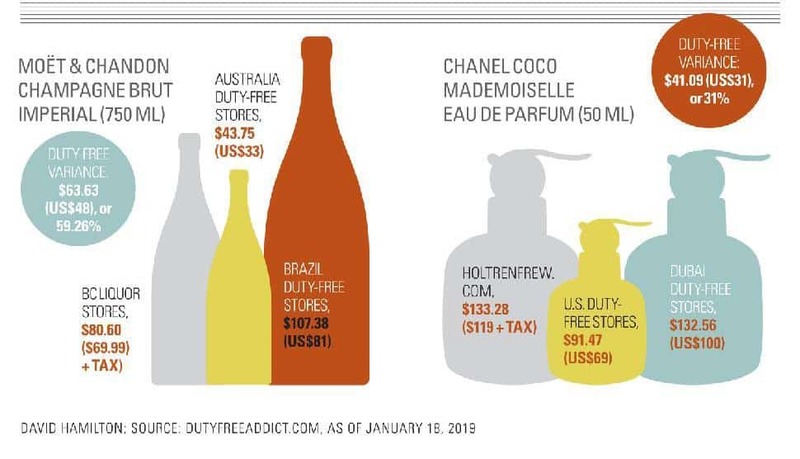 A recent U.K. survey found that only 6 percent of travellers believe duty-free offers the best prices—while 52 percent give online or hometown shopping the edge. An obsessively thorough search engine at DutyFreeAddict.com pins the best shopping categories in your destination-country airports, or the price spread and best deal on specific items. For example, Down Under has the cheapest Beats by Dre headphones, but South Korea rocks for Apple and Nintendo. Rules of thumb: score cosmetics and fashion in Europe and souvenirs in town (not at the airport), and check at-home prices before you buy. Those are the magic words when in duty-free shops to stock your bar—think cask-strength and small-batch whisky, luxe packaging and local rarities like a Dewar’s Diwali edition Scotch sold at a handful of airports, from Qatar to Kolkata. TheSpiritsBusiness.com judges the Travel Retail Masters competition each year, ranking the best bottles on offer, and Los Angeles–based Instagram poster @thewhiskywalker books itineraries around coveted drams. 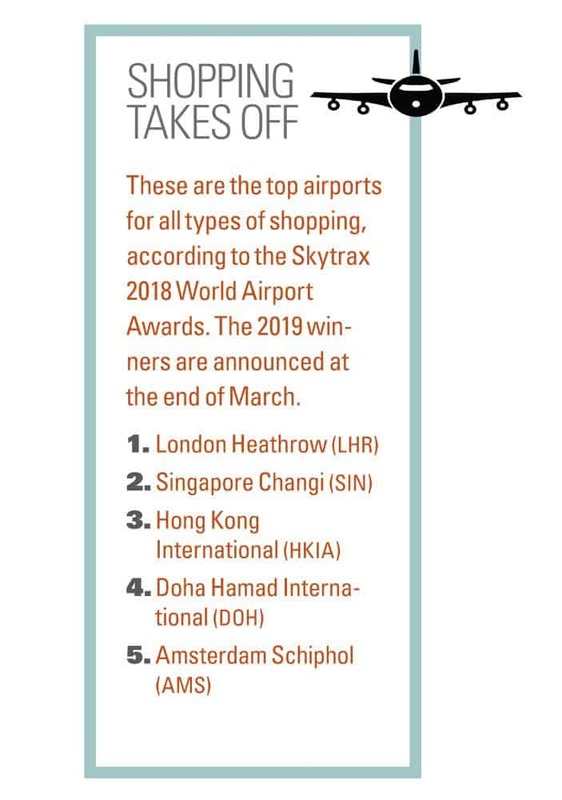 Hot hubs for imbibers include London and Hong Kong, both of Tokyo’s airports, Taipei Taoyuan (TPE), Warsaw Chopin (WAW) and, of course, Edinburgh (EDI).